Up until this point, Jeff Tweedy’s career has been a tale of two Jays. In the late ’80s and early ’90s, Tweedy earned his bones by traveling the indie rock circuit as the bassist in Uncle Tupelo, a group whose fusion of country music and punk rock has been credited with birthing a new musical subculture: alternative country. Although Tweedy wrote half of Uncle Tupelo’s material, he still played second fiddle to the band’s perceived leader, guitarist Jay Farrar. Whether it’s true or not, Bennett’s predilection for psychedelic-era bombast and eclectic instrumentation was widely credited for the sonic leaps Wilco made with their succeeding albums, “Being There,” “Summer Teeth,” and the two “Mermaid Avenue” albums the band recorded with British protest singer Billy Bragg. Wilco, like Tweedy himself, had matured from alt-country’s sweethearts (a label Wilco always rebuffed) to artists that sought to buck expectations and bravely push their creations into more experimental directions. But last year, all that changed. Shortly after the group’s latest album, “Yankee Hotel Foxtrot,” was completed, Bennett disappeared from the Wilco fold. And although Bennett performed, engineered and is co-credited with most of the music on the record, Wilco’s new album marks the beginning of a new era in which Jeff Tweedy again stands in the spotlight alone as the band’s sole creative force. Set to coincide with the release of “Yankee Hotel Foxtrot,” there’s a ransom of other Wilco-related projects that are new in stores, including Tweedy first solo foray — the soundtrack to Ethan Hawke’s new independent movie, “Chelsea Walls,” in addition to Bennett’s first album since leaving the band, and the first-ever Uncle Tupelo retrospective. In all likelihood, if you’re reading this, you’ve already heard the back story on the dramatic events that surrounded the completion and release of Wilco’s “Yankee Hotel Foxtrot,” which has been touted as the group’s finest moment. The band’s recent fortunes are the kind of sweet revenge story that music writers love to pounce on as a chance to needle the increasingly regimented major record labels and the profit-hungry multi-national conglomerates that own them. If you haven’t heard the story, I’ll make this quick: Wilco’s track record — as far as CD sales goes — has been modest in comparison to the near-universal praise they’ve garnered from critics over the years (“Being There” has been the top-seller of the band’s catalog and has yet to surpass 200,000 copies). So, when the band turned in their latest album to their label, Reprise Records, the response that they got was that the record’s jagged songs wouldn’t cut it on the radio. Executives reportedly pronounced the album as “career ending.” In a matter of weeks, the band bolted from the label with record in hand, posted it in its entirety on the Internet, and eventually signed to Nonesuch Records, who are coincidentally owned by the same multi-national that owns Reprise. By the way, the band had also lost two members along the way. Half a year later, the record finally came out in late April and has been hailed by critics as their masterpiece. In fact, all the press brouhaha has generated enough public curiosity for the album to snag the No. 13 position on the Billboard charts and sell nearly 56,000 copies in its first week. “Yankee Hotel Foxtrot” is the brave next step in an slowly unfolding transformation, in which Tweedy has led Wilco from the standard-bearers of the Flying Burrito Brothers to proponents for the avant-garde. The album is a statement that the group members have placed themselves firmly as disciples of cutting-edge artists like Sonic Youth, Pavement, or the Talking Heads. From the start, “Yankee Hotel Foxtrot” has a subtlety and quietness that makes “Summerteeth” or “Being There” seem garishly overdone. The diversity and depth of the sonic palette that Bennett first introduced to the band is still present, but the colors are now less overt. The use of instruments or unusual sounds are now interwoven into the songs to become part of the whole, as opposed to appearing like they’re just overdubs. This instrumental diversity on the tracks was buffed down on “Yankee Hotel Foxtrot” so as to extenuate the directness of the melodies. (Much of the credit for the record’s spare, but textured quality has been Sonic Youth keyboardist Jim O’Rourke, who mixed the album. Rumor has it that O’Rourke was called in to de-emphasize Bennett’s influence). From the sound of this record, Tweedy’s selection of O’Rourke was a smart move. “Yankee Hotel Foxtrot” is so musically rich but direct that I think my stereo is too outdated to fully present it. Minus the latest gadgetry, this album should really be played loud to hear it fully. Deceptively, the album begins with “I Am Trying To Break Your Heart,” a song unlike the others with its melody buried deeply beneath an assembly of unorthodox instrumental passages: There are some disjointed piano notes that sound like they’re being played by a leaky roof, which offset the main melody, outlining it. New drummer Glenn Kotche clutters the rhythm with dozens of “found sounds” instead of a proper backbeat. The only instrumental constant is John Stirratt’s bass guitar, which flexes and relaxes, and supports Tweedy’s vocal line. Although a pop structure can be detected beneath its musical surface, “I Am Trying To Break Your Heart” has the toughest shell to pierce. More immediately satisfying are a trio of songs that are spearheaded by the chord changes of Tweedy’s acoustic guitar. The determined strum on “Kamera,” “War On War” and “Pot Kettle Black” is the ear candy that can scoop up listeners, but they lay the groundwork for each songs’ distinct snippets of dissonant keyboard chirps and squawks. Like these acoustic-based songs, Tweedy’s voice is used as a tool to draw in listeners. His singing is warmer and less harrowing than it has been the past. O’Rourke’s mix has placed Tweedy’s voice out front but with plenty of space away from the instruments. Tweedy sounds almost seductive delivering his lines and that helps to make his point. This softer vocal approach is one key element that makes a song like “Ashes Of American Flags” so remarkable. The cut features brilliant flashes of Tweedy’s lyrical skills that with Tweedy’s worn voice, help transcend a melody that drearily plods along. And it’s the song’s economic but image-heavy lyrics that are the real marvel. The song sounds like a most unusual working-class anthem, one told in way that’s free of any of the false scenarios, moralistic passion plays, or sloganeering that weighs down similar attempts to address such issues. Another song sung with considerable restraint is “I’m The Man Who Loves You,” which is Tweedy and Bennett’s homage to Arthur Lee and Love. The song’s combination of acoustic guitar and brittle guitar phrases is a direct descendant of Love’s “Your Mind and We Belong Together.” To cap the tribute, the track is embellished with a Lee-like horn arrangement. Like Arthur Lee, who was recently released from a California prison just in time to cash in on the renewed critical interest in his opus “Forever Changes,” Tweedy instills most of his sonic experiments with a solid pop hook. But unlike Lee, Tweedy hasn’t have to wait 30 years for the music world to recognize his masterpiece. It’s on the charts. For those expecting an alt-country version of “The Crow” soundtrack or list of classic songs that never leave Mr. Tweedy’s CD changer, “Chelsea Walls” soundtrack is a disappointment. The record’s confusion likely stems from the movie’s plot, which reportedly interweaves the lives and stories of several characters on a single day inside New York City’s Chelsea Hotel, a favorite haunt for writers and artists since the 1950s. According to Hawke, the music gives the voice to a central character in the movie: the building itself. What those instrumental tracks, which Tweedy created with Wilco drummer Glenn Kotche, are exactly saying isn’t laid plain spoken. On musical terms, the meanings behind Tweedy’s instrumentals, like his lyrics at times, remain out of grasp. (Perhaps in the context of the film, they’re more understandable.) Songs like “Finale” and “Frank’s Dream” are pinned together by some spooky piano vamps, with the latter crawling forward thanks to Kotche’s jazz shuffle pattern. But ultimately, the songs are a tough listen — as most background music is — and there’s little direction that can be gleaned from song titles like “Opening Titles,” “Finale,” and “End Credits.” Ambiguity is usually a good thing in music, but some subtitles for this dialogue would be helpful. The record’s biggest surprise is when actors Robert Sean Leonard and Steve Zahn give a very faithful reading of “The Lonely 1,” a song that first appeared on Wilco’s “Being There.” Well-studied and well-executed, the song suggests the pair could have the makings to become entertainment triple threats. The “Chelsea Walls” soundtrack is for Wilco addicts only and is easily the weakest member of this Wilco-related CD deluge. Anyone having doubts about what Jay Bennett brought to Wilco, his new album “The Palace At 4 a.m.” gives the definitive answer. The record, which Bennett mostly wrote and recorded with old pal Edward Burch, might go down in history as the “lost” Wilco album. The similarities between “The Palace At 4 a.m.” and Wilco’s past efforts go much deeper than the fact that the record has a couple Tweedy/Bennett originals and outtakes from Wilco’s “Mermaid Avenue” albums or the fact that it features several past and present Wilco band members. Instead, the record’s kinship with the older records comes across in the lush, multi-textured music. In terms of its sonic production, “The Palace At 4 a.m.” picks up where Wilco’s “Being There” and “Summerteeth” left off. As on those Wilco records, Bennett’s tastes, as a musician and arranger, veer toward the exotic. When a guitar would easily play the musical introduction to “My Darlin’,” Bennett selects an electric sitar instead. The songs are highly polished gems, but he doesn’t shy away from spicing the songs with layers of organ, keyboards or horns. One of the record’s most impressive moments, “Drinking On Your Dime,” covers the most ground musically and lyrically. The song’s melody is anchored by fuzz guitar and more vocal harmonies, but now a mellotron shadows the verses. The track’s building momentum temporary subsides into an “Eleanor Rigby”-like string section before picking up steam again. Equally powerful, the song’s lyrics speak about overstaying your welcome and appear to address the end of his and Tweedy’s creative partnership and his exile from Wilco. “I’m still waiting for songs to be written/ Songs that will never be” Bennett sings to his erstwhile partner. But oddly enough, where this record comes up short is in the lyrics. (This is the point where the comparisons to Bennett’s former band become unfair because the words aren’t substandard.) However, Bennett and Burch can’t come up the kind of storyline twists and arresting imagery that Tweedy ensured was the cornerstone of each Wilco song. As Bennett has stated in several interviews, Tweedy typically began each song and Bennett added his own contributions later in the recording process. Measured against “Yankee Hotel Foxtrot” or the other Wilco records, “The Palace At 4 a.m.” is not the musical achievement that those albums are. Perhaps Bennett is still using his old playbook in his treatment of songs. But it was only a few years ago that Tweedy and Wilco started out with the unremarkable “A.M.” before blossoming, and Bennett shows the same promise. I can’t help thinking that the reason that this greatest-hits collection starts with two of Uncle Tupelo’s most straightforward country songs was to lull new converts into a state of folkish bliss before letting loose the punk-rock wallop of the band’s alter ego. Yes, the two tracks selected do come from the band’s debut album, but it was obviously a conscious decision that this record doesn’t come out with guitars roaring. By the third track, “Graveyard Shift,” the menacing hum of an electric guitar and the snarl in Jay Farrar’s voice suggest that there’s more to this than a bunch of suburban white boys mimicking old field recordings. Although the song is rife with plenty of “meat and potatoes” thrashing guitar chords, the bluegrass-style picking on the electric guitar that the band uses for the verses demonstrate the subtlety of the band’s music — even when they’re at their most raucous. 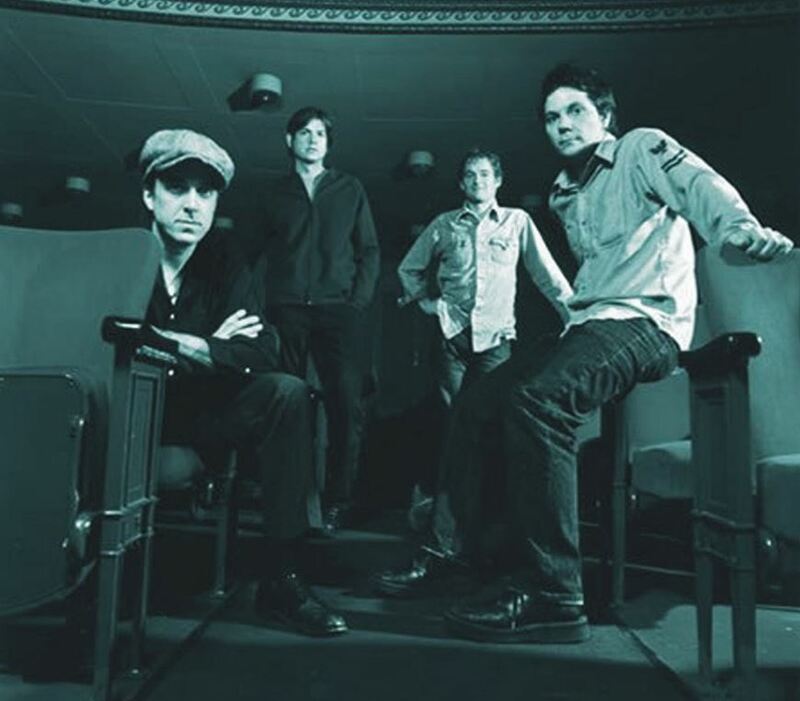 It’s the group’s combination of folk-country influences and punk and they way that Farrar and Jeff Tweedy did it that made Uncle Tupelo a truly unique band. While the music of alt-country successors like the early Jayhawks and Whiskeytown drew from the palatable hybridization of country and rock branded by Gram Parsons, Neil Young, and the Rolling Stones, Uncle Tupelo’s music was hard-hitting, sometimes abrasive, and less explicit in their mixture of styles. What is clear is that like the craftiness that went into the selection and pacing of the album’s songs, its release was meant to whet the public’s appetite for the re-release of the group’s first three full-lengths — “No Depression,” “Still Feel Gone,” and “March 16-20, 1992” — which are set to be reissued this fall. The albums were originally distributed by indie imprint Rockville Records and were out of print in recent years, but are now being handled by Sony Music. The group’s final record together, “Anodyne” was released by major label Sire/Reprise Records and is still available. With this in mind, the real treat of “89/93: An Anthology” is the inclusion of rarities that are missing from the band’s albums. Looming large is “I Got Drunk,” which ranks as one UT’s most vicious and brilliant moments. While it’s easy to underestimate the song because of its simple structure and because it’s absent any of the pleasing metaphors that Hank Williams gave to similar feelings of dejection, the narrator’s single-minded determination to get so loaded that he falls down makes this powerful. Another fascinating cut is a cover of the Stooges’ “I Wanna Be Your Dog,” a song that’s a staple of every good punk band’s repertoire. The group attacks the track with a sense of high-speed fury, but Tweedy’s voice sounds uncharacteristically restrained, like he’s trying too hard to stay in tune. Although the song is far from a disappointment, I’d be interested to see Tweedy try this one again but with some of the same recklessness that he’s shown on Wilco albums. And even though “89/93: An Anthology”‘ is not a collection that takes chances (and that does sort of defeat the purpose of a greatest-hits record), all that planning is effective. The record has enough popular favorites as well as cuts from the archives to attract Uncle Tupelo devotees and new fans alike. Tags: "89/93: An Anthology", "Chelsea Walls" Soundtrack, "The Palace At 4 a.m.", "Yankee Hotel Foxtrot", Edward Burch, Jay Bennett, Jay Farrar, Jeff Tweedy, review, Son Volt, Uncle Tupelo, Wilco. Bookmark the permalink.